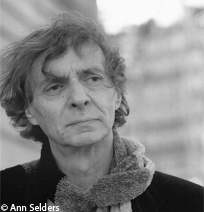 A Belgian composer born January 1, 1936 in Tongres. After studying the piano at the Liège Conservatory, Philippe Boesmans devoted himself to composition, not having received any real training in this domain. Encouraged notably by encounters with Henri Pousseur and Pierre Froidebise, he wrote his first works in the early 1960s. Although essentially serial, these avoided the rigidity of post-Webernian serialism. The result was a profoundly original language that sought to be accessible. A producer at the RTBF from 1961, attached to the Centre de Recherches Musicales of Wallonie and to the Electronic Studio of Liège from 1971, Boesmans was composer in residence at the Théâtre Royal de la Monnaie from 1985 to 2007. This period, marked by many commissions from the theatre’s directors Gérard Mortier and Bernard Foccroulle, was especially favourable for the production of new compositions, among which the Trakl-Lieder (1987) as well as Reigen (1993) and Wintermärchen (2000), born of his collaboration with the director Luc Bondy. Winning the music prize of the SACD in 2004 for his work as a whole, Philippe Boesmans has received many distinctions throughout his career. In addition to the International Koussevitzky Recording Prize for the recording of his Concerto for violin and Conversions, special mention should be made of the Prix de l'Académie Charles Cros, the Prix Italia (1969) and the Prix Arthur Honegger (2000).